Paris in the spring is like no other time of year, no other place on earth. April in Paris. 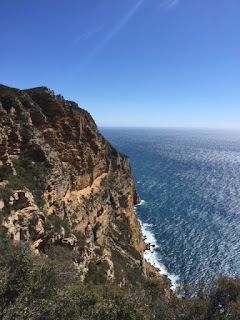 Grace, my young English heroine in THE HOUSE ON THE EDGE OF THE CLIFF, who is trying to escape the scars of her violent upbringing, is in search of adventure and perhaps a romantic encounter. When she steps off the train from London into the unknown exotic world of Paris in April 1968 she has no idea what lies ahead, the future that awaits her. 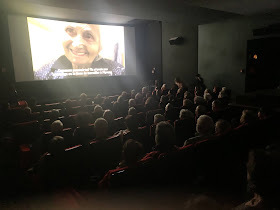 I have spent this last weekend wandering the streets of the Left Bank because my husband, Michel, has a festival in progress - the first GrecDoc has been unveiled; his newly-founded festival of modern Greek documentary films is underway. I am not in the cinema watching all the films because I have been on the jury to choose the winning three, so I have seen and enjoyed them already. They represent a fascinating window into modern Greek life and its recent, sometimes turbulent history. This photo was taken by the young Greek director, Stathis Galazoulas, during the screening on Friday of his award-winning short film, My Grandmother, the Tobacco Grower. 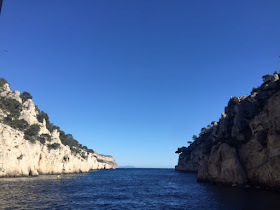 I had considered writing about modern Greece and some of the fascinating facts I have learned and discovered through these films, but I am going to leave that subject for another day, another blog. Who knows, another novel? 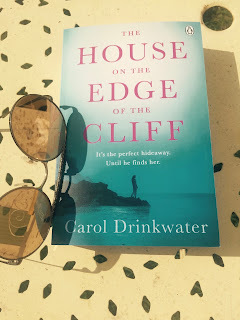 Because, the publication of my novel, THE HOUSE ON THE EDGE OF THE CLIFF is drawing close, 16th May - as I write, there are 53 days to go - I want to touch upon the role Paris plays in the book. If you read my blog of last month you will know that vital sections of the book are set in Paris in 1968. During April and May '68, the lead up to and the unfolding of the students' uprising. It was a time of hope, of dreams of peace and a new order. A vision of a fairer world. It was the Sixties, hippies, flower power, anti-Vietnam War peace marches, the murder of Martin Luther King. 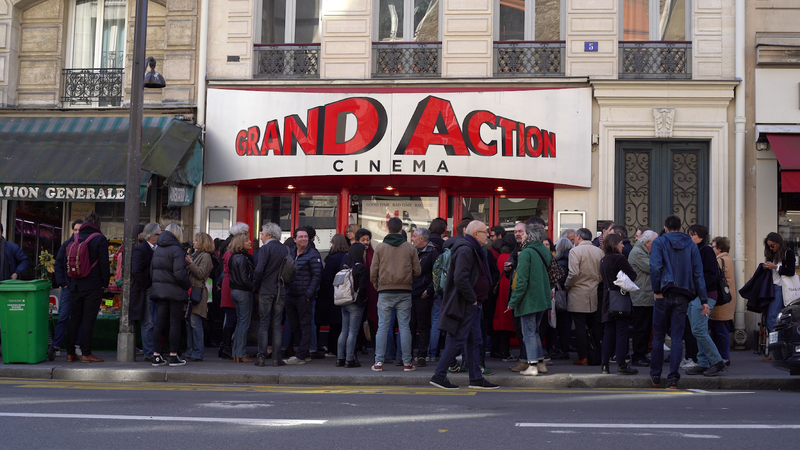 Michel's Grecdoc festival is being screened at a fabulous little cinema on the Left Bank at 5, rue des Écoles. 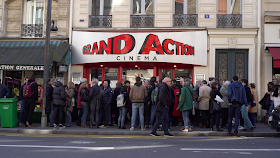 Le Grand Action is an art house cinema in that it is not in the business of showing the latest American blockbusters. 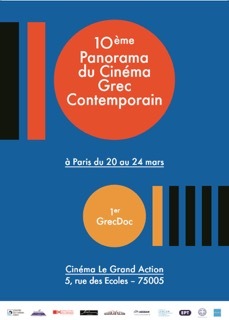 It opens its doors to lesser known films and to small festivals such as GrecDoc. It is in the heart of Paris's student land. Further along the street is the famous Sorbonne University. This area of the city is central to the action of the '68 sections of THE HOUSE ON THE EDGE OF THE CLIFF. It is the stage upon which many scenes are set. Although I know this area well and over the years have spent many hours walking these streets, this weekend I began to see the quartier anew. Perhaps because the structuring and writing of the novel is behind me now and I know these characters so well. I have lived with them, inhabited their hopes and dreams for the best part of two years. This weekend, I could look quietly at all that was around me, through my characters' eyes rather than my own. I was pacing the very same streets, gazing upon buildings, statues, parks, seeing them as Grace, the novel's central character, and Peter, one of the two young men she meets during that summer of '68, (both of whom impact dramatically on the rest of her life, but in very different ways), might have seen them. Peter is a student at the Sorbonne, studying politics and social sciences, when he first meets sixteen-year-old Grace, on her first day in Paris. He might have walked in and out of these great doors almost on a daily basis. Perhaps Grace waited outside for him before they went off to explore the city? During the uprisings in May '68, the Rector of the Sorbonne locked the doors of the university, in response to a peaceful student demonstration, thus shutting out the students from their belongings and lectures halls. This act was partially responsible for the escalation from civil urest to street violence, the involvement of the police, the building of the barricades and, after days of riots, the occupation of the university by the students themselves. Grace and Peter were participants in these events. For a young girl of sixteen, May 68 was a life-changing experience. Grace was waking up to some of the possibilities that life could offer her, to her own sexuality and the power of her own convictions and voice. Women's rights, sexual liberties. A better education system. Respect and opportunities for the working classes. The rights of the people. Across the street, still strolling along the rue des Écoles, is a fine statue I have never noticed before. Michel de Montaigne, one of France's most renowned philosophers, famous for establishing the essay as a literary genre. I stood in the spring sunshine taking photos of the statue, asking myself might Grace have lingered here, leaning against this statue, reading a book, while waiting for Peter? Or might she have walked right by it on many occasions as I have done? Michel de Montaigne 1533 - 1592. Renaissance philosopher. On one of my recent afternoon strolls along rue des Écoles, I took a right hand turn, descending to Place Maubert (where I lived with Michel in the tiniest and most romantic of studios when I first came to Paris). It's famous food market was in full swing. In the bar, Feignes Alain, on the corner of rue Frédéric Sauton and 18 Place Maubert, after an incident occurs during the demonstrations, Grace stops to buy herself a glass of wine. She is shaken by what she has witnessed and what has befallen her personally. The shadows of real life are beginning to cloud over her. Her dreams of a carefree summer are slipping away. It is time to quit the city, she feels, and travel south in search of sun and new adventures. Alone and unnerved by the rising violence in the capital, Grace eventually catches up with Peter and a few of his comrades at Chez George, 11 rue des Canettes, Paris, 6e arrondissement. They are deep in conversation, mulling over the escalating events. Chez George was one of the students' regular hangouts in the Sixties. Today, it has become almost a Left Bank institution and you can still enjoy its 'great vibes', a decent meal or simply a glass of wine. Late in the evenings it is a very lively joint. Downstairs, in the candle-lit cave, where the music rocks, young locals come to dance and swing. Today, it is in the very capable hands of George's daughter and his grandson, Jean François. Do pop in, if you are in Paris. While in the vicinity, why not visit one of my favourite churches in Paris, Saint Sulpice? The present church is the second on the site. The original was Romanesque. The one that dominates Place Saint-Sulpice today was founded in 1646. Its interior is quite daunting, exceedingly high ceilings, little ornamentation and usually, outside the time of Mass when its great and very splendid organ is played, eerily quiet. The Marquis de Sade and Charles Baudelaire were both baptised here. Victor Hugo celebrated his marriage to Adéle Foucher within these great stone walls. If you are a visitor to Paris, Sunday organ concerts are held regularly in the church. But I digress.... Saint Sulpice plays no role in the novel except as a landmark when Grace is discovering her new city while searching for a place to stay. A short walk away is the rue Guy-Lussac. In a studio in this street, Peter and Grace camp out, sleeping on the floor of a fellow student's pad while he, arrested during the student riots, is being held in a prison cell. This rather attractive little street played an important role in the '68 students' revolution. In the novel we find Grace here, spending back-breaking hours, working all through the night, building barricades in the company of other students and citizens. By this point in the story, the revolution has caught the attention of the nation. Parisians from all walks of life were shocked by the clamp down and the violence shown by de Gaulle's military-minded government towards the young. Many joined the cause, which escalated into violent clashes with the police who used tear gas and brutality to quell the growing force of the voice of the people. Unfortunately, the uprising and the national strikes that followed were short-lived. By mid-June, de Gaulle had the country back under control. Elections were called and his government was brought back with a greater majority. For a young girl like Grace who suffered violence in her childhood, the street fighting is too confronting. She needs to get out, to move on. 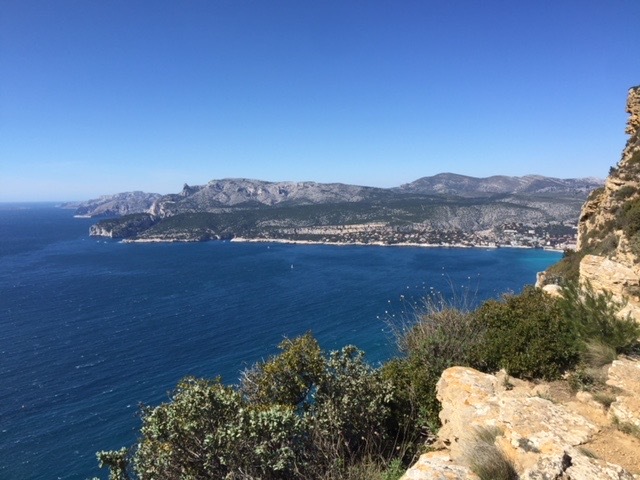 Peter and Grace's flight from Paris during the turbulent month of May '68 leads them to the south, to a secluded house on a cliff's edge not too far from Marseille. It is the house of Peter's aunt, a renowned artist. Overlooking the most spectacular landscape of sandy bays and rocky inlets, Grace believes she will find the harmony she has been seeking. A few photos I took of the Calanques area when I was researching the novel. 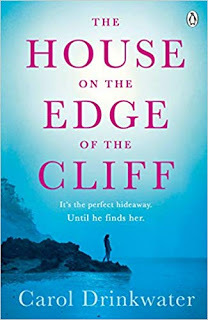 THE HOUSE ON THE EDGE OF THE CLIFF is published on 16th May. 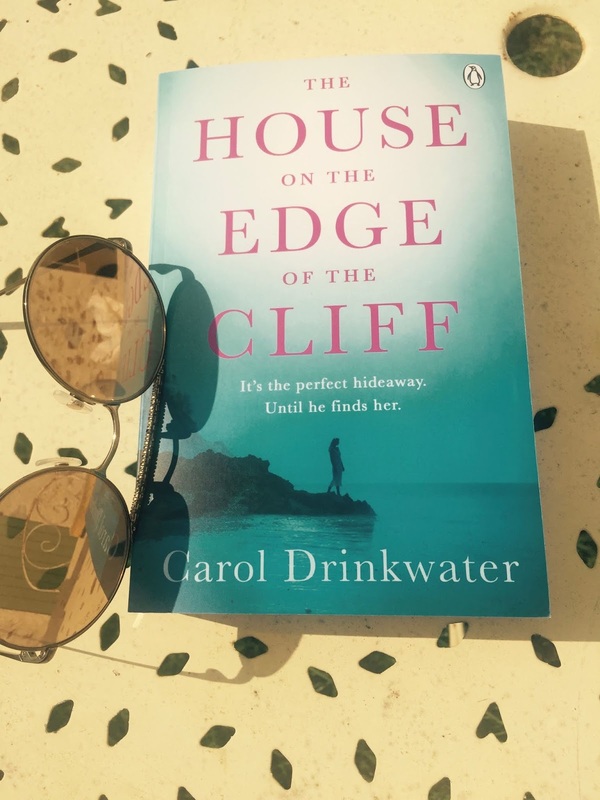 The publishers are saying: "Carol Drinkwater's epic story of enduring love and betrayal, from Paris in the Sixties to the present day." I hope you will read and enjoy it. I can't wait to send this post to a blog friend of mine, Maria Verivaki, who lives in Chania,Crete. The blog is "Organically Greek." She is also on Facebook. I so enjoyed reading the books by Carol Drinkwater. Looking forward to this wonderful story taking place during a time of political and social changes in the U.S. and France. A terrific writer and actor, well remembered in "All Creatures Great & Small" from many years ago!